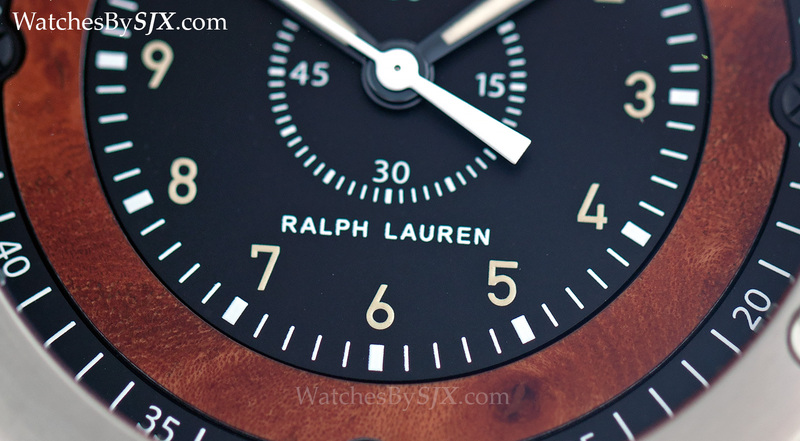 Ralph Lauren is unfortunately best known for its polo t-shirts, meaning it does not get enough credit for its watches, which are well designed and well made. While the brand started out in the wrong direction with overly pricey timepieces, it has dialled own its ambitions. 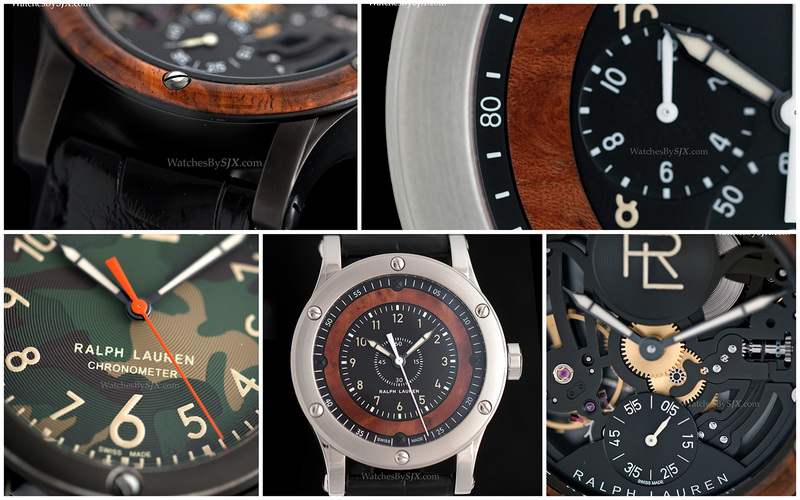 Most of its new offerings from SIHH 2015 are accessibly priced. 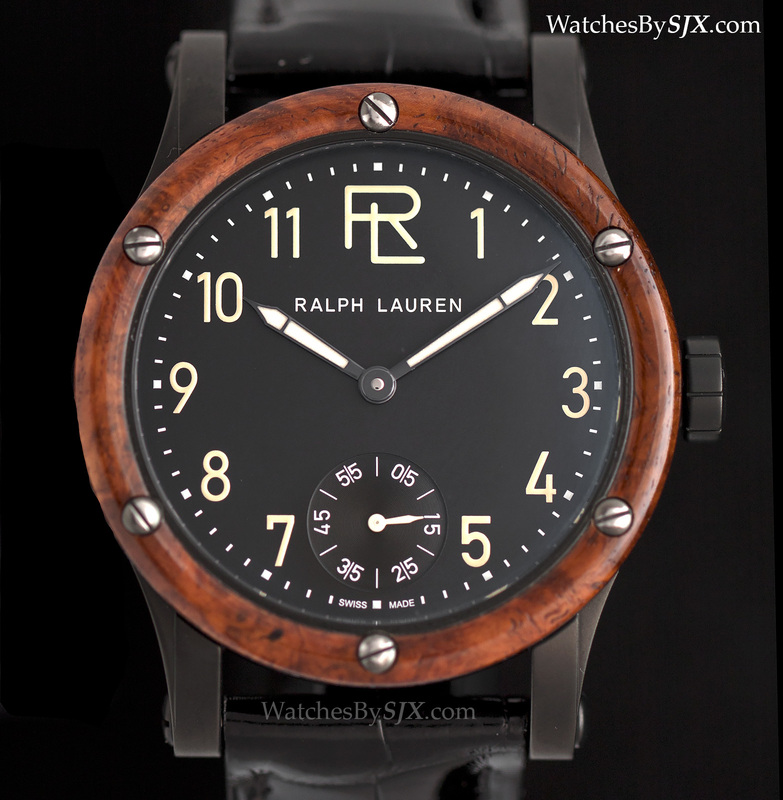 The best looking line of watches from Ralph Lauren is the Automotive collection, inspired by the dash of the designer’s Bugatti 57SC Atlantic convertible, hence the use of wood on the dial or bezel. The Automotive Chronometer is the new entry level model in the line-up, available in a 39 mm or 45 mm case. 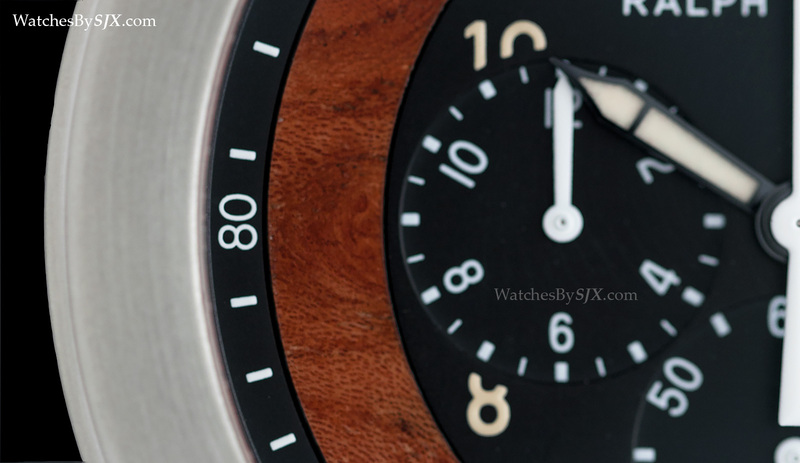 Well proportioned with a military-type aesthetic, the dial has an attractive elm burl wood inlay. Inside is a Sellita automatic movement. 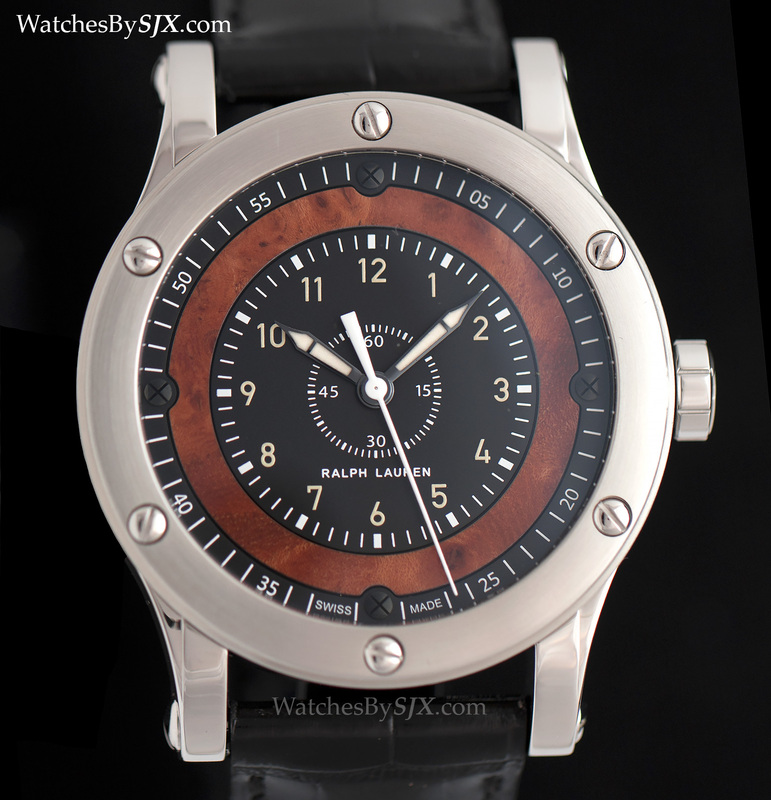 This is priced at 4800 Swiss francs for the 39 mm and 5000 Swiss francs for the 45 mm. Offering a similar aesthetic is the Automotive Chronograph, though the spacing of the sub-dials give it a slightly cluttered appearance. The case is 45 mm in diameter. 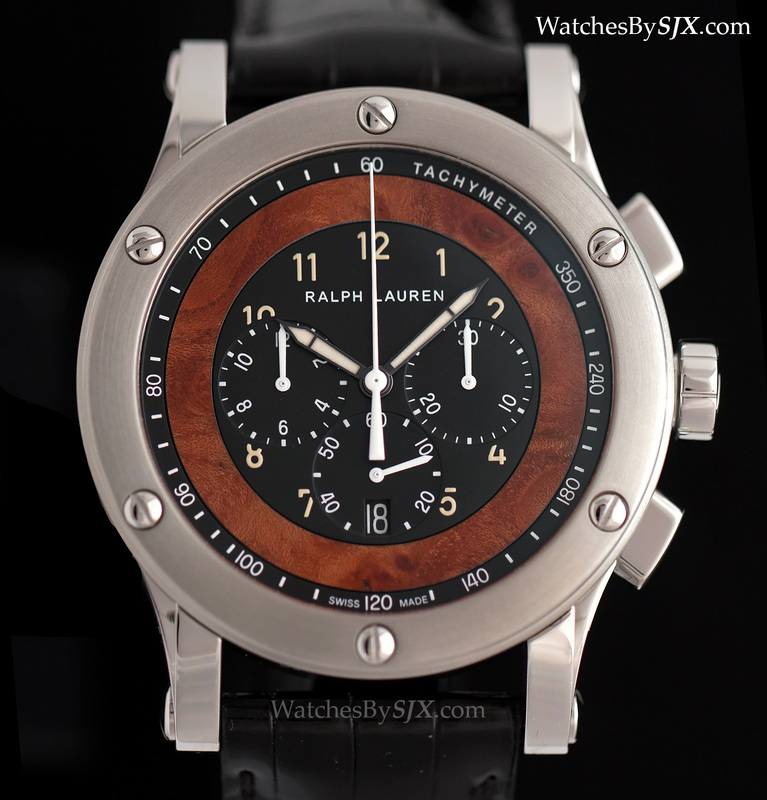 This is powered by the Jaeger-LeCoultre calibre 751, a self-winding chronograph movement. The price tag is US$7800. 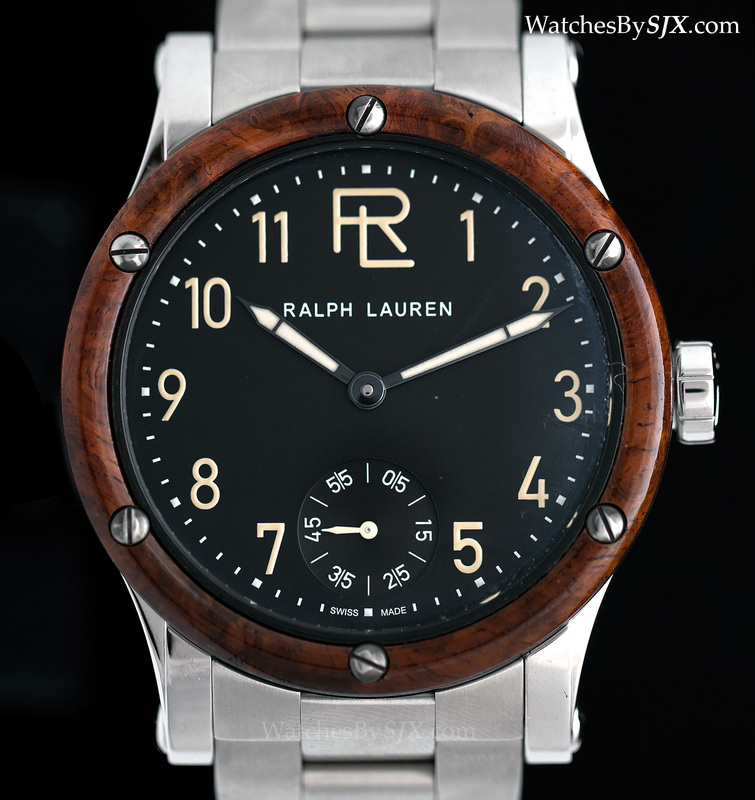 Also 45 mm is the RL Automotive, distinguished by the narrow, polished amboyna burl bezel, and the large “RL” logo at 12 o’clock that gives this its name. The material for the bezel is unconventional, but the look works well. 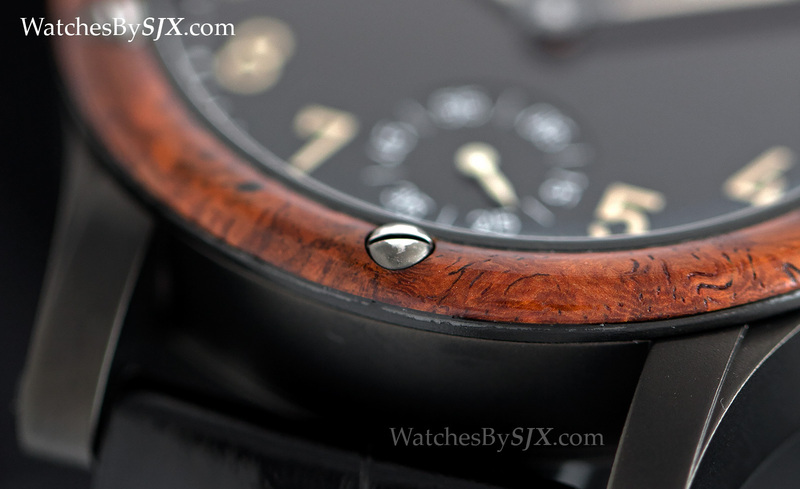 However, the durability of the bezel is worrying, given the size of the watch and the softness of wood. 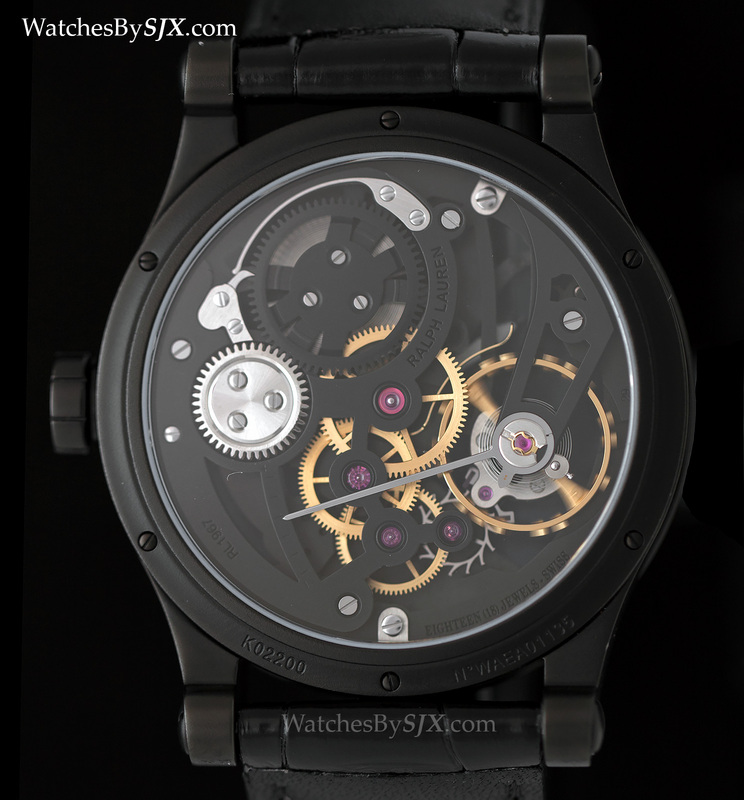 Two versions of this are offered, one in steel with a matching bracelet (for 14,000 Swiss francs) and another with a black coated case (for 13,500 Swiss francs). 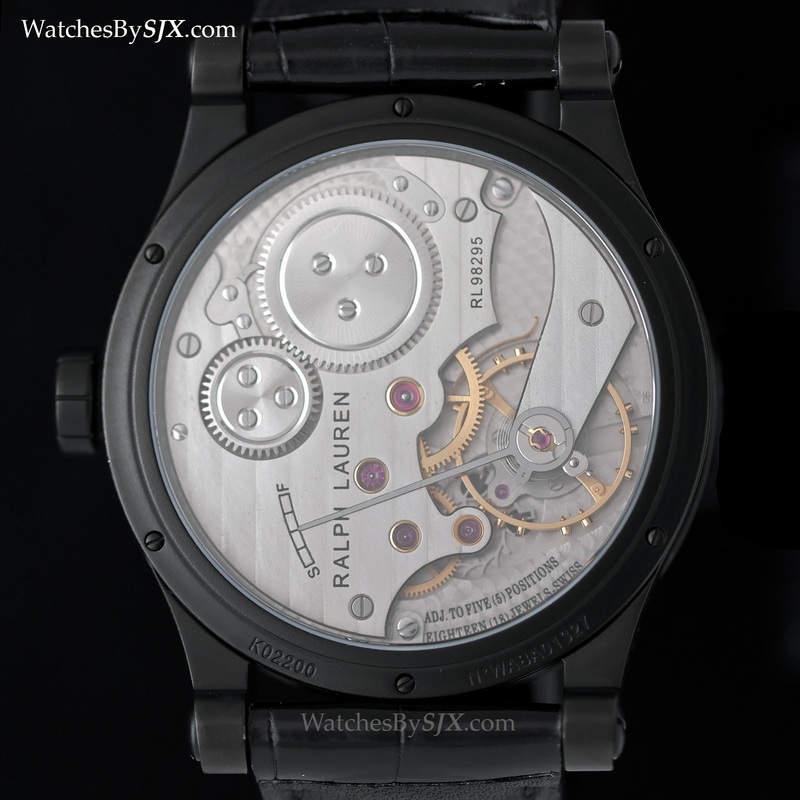 Both versions of the RL Automotive are equipped with the hand-wound IWC F.A. Jones calibre, visible through a display back with a faint grey tint. The flagship model for 2015 is the RL Automotive Skeleton. This is essentially a skeletonised version of the watch above. 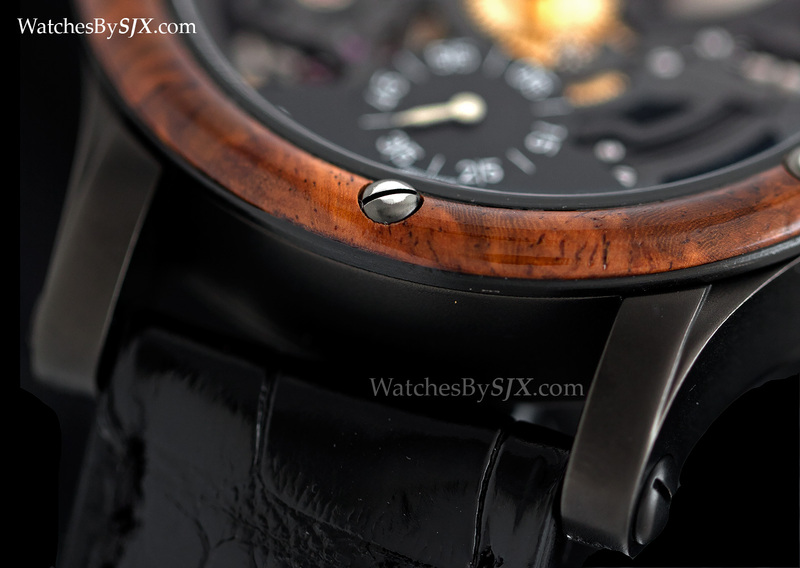 The bezel remains amboyna burl, while the movement remains the same Jones calibre, except it has been skeletonised in a manner that suits the design well. And the bridges and plates of the movement have been black coated, highlighting the gilded and steel components of the movement. 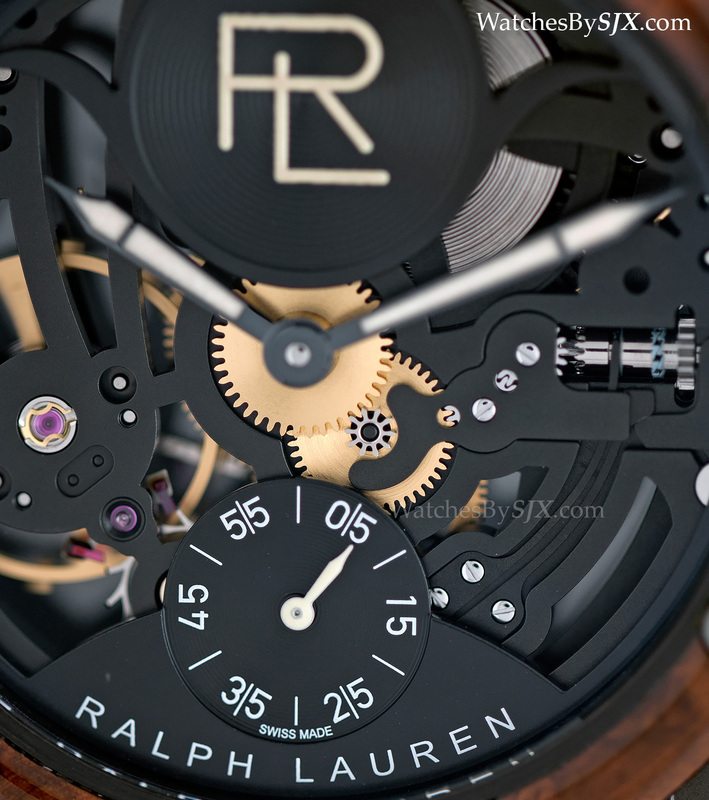 The RL Automotive Skeleton, however, is expensive, with a retail price of US$35,000. 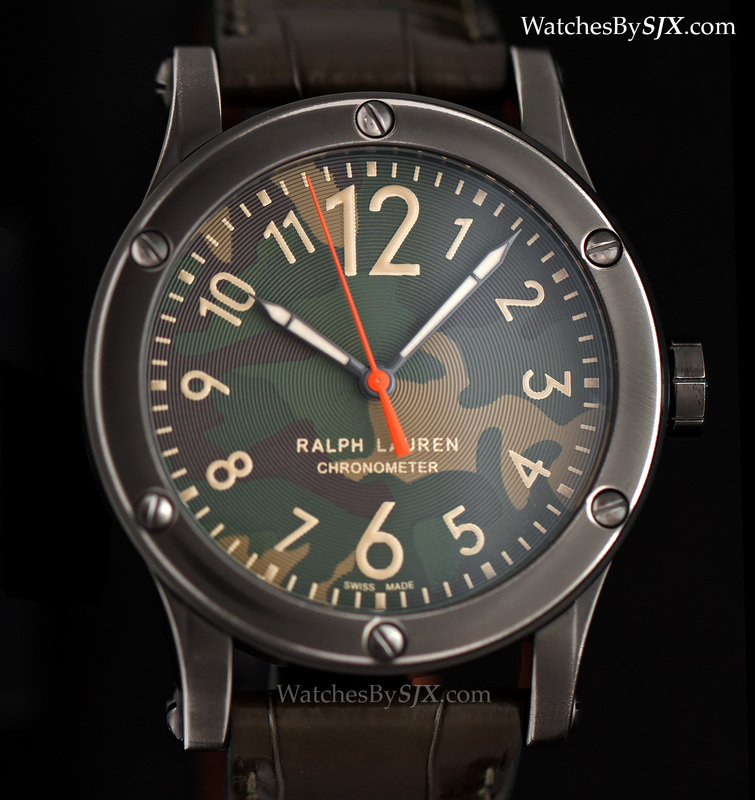 Ralph Lauren also grew its entry level RL67 Safari Chronometer line with the addition of two models, one featuring a camouflage pattern dial and another with a khaki dial. Both use COSC-certified Sellita automatic movements, with steel cases finished in a tumble polished gunmetal, giving them a worn look. 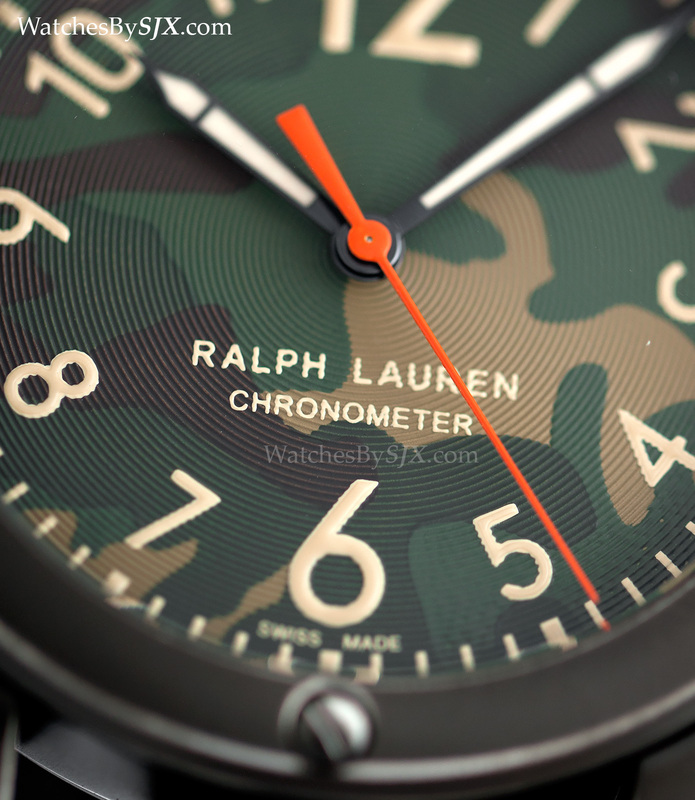 The camouflage model is US$4000 while the khaki dial is US$3750. 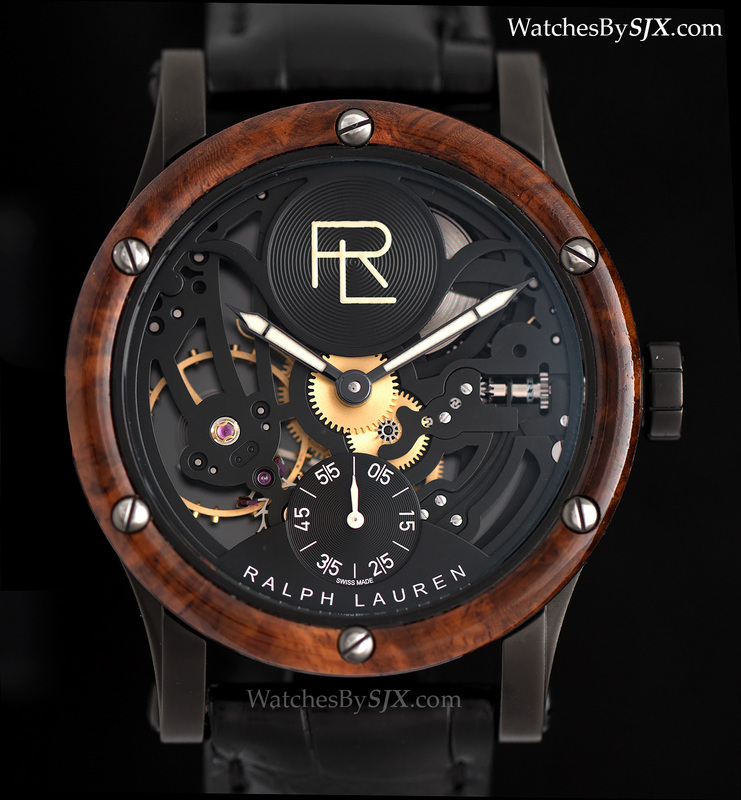 Ralph Lauren frequently takes inspiration from his Bugatti 57SC Atlantic for his timepieces, with the RL Automotive Skeleton the latest timepiece to be modelled on the convertible. And it happens to be powered by a skeletonised IWC movement.